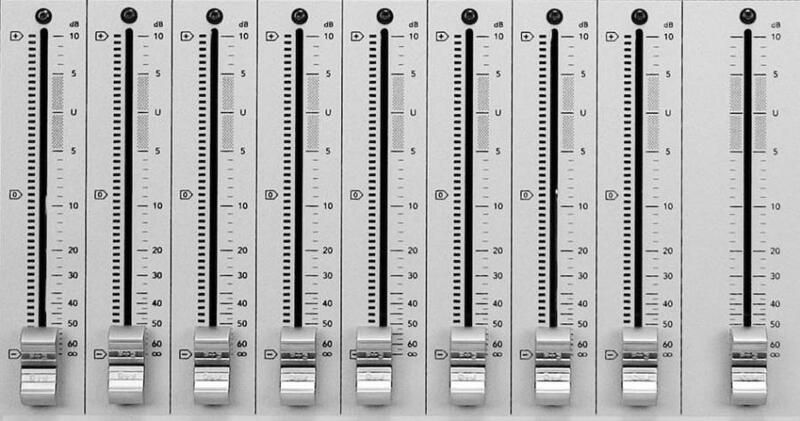 Modern DAW software has given us virtually unlimited possibilities for manipulating audio, but sacrifices the organic feel of faders and knobs at our fingertips. 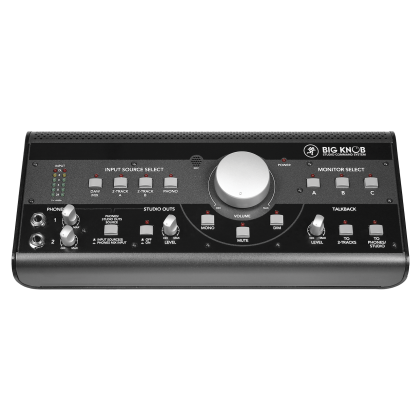 Reclaim that experience without losing the power of software with the expandable MCU Pro control surface. 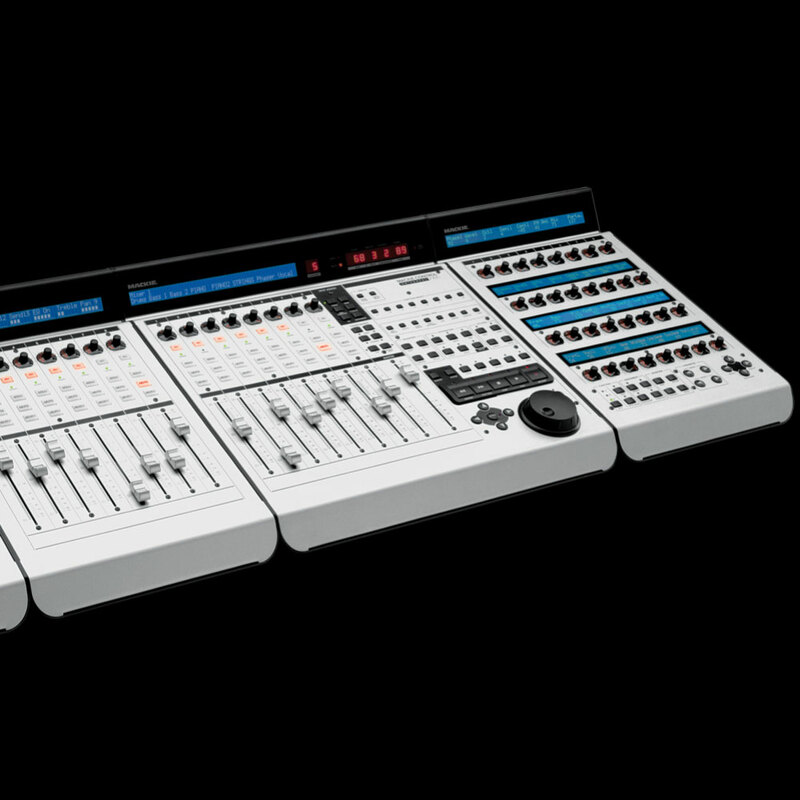 With simple USB plug-and-play setup with nearly any DAW, you will be mixing like a pro with real motorized touch-sensitive faders, buttons and assignable V-pots in no time..
We equipped the Mackie Control Universal Pro with a generous two-line, 55-character backlit LCD to display parameters like track name, channel metering, I/O assignments, plug-ins, EQ, dynamics or anything our various software partners want you to see. 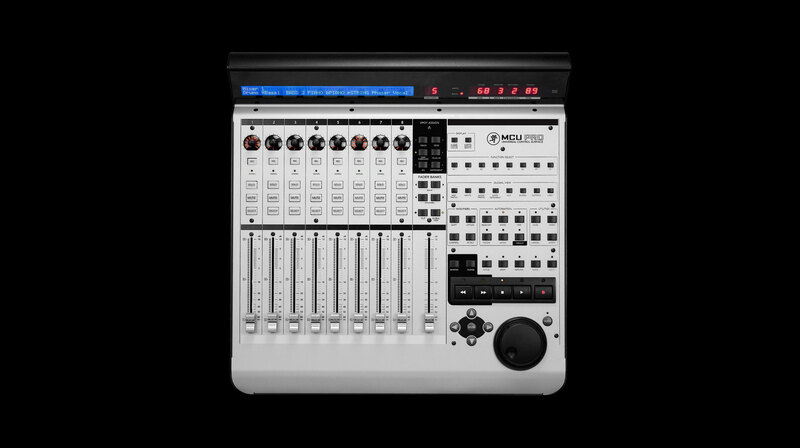 Equipped with nine 100mm motorized touch-sensitive faders from Alps® — one for each channel, plus a master fader and support for an unlimited number of banks. 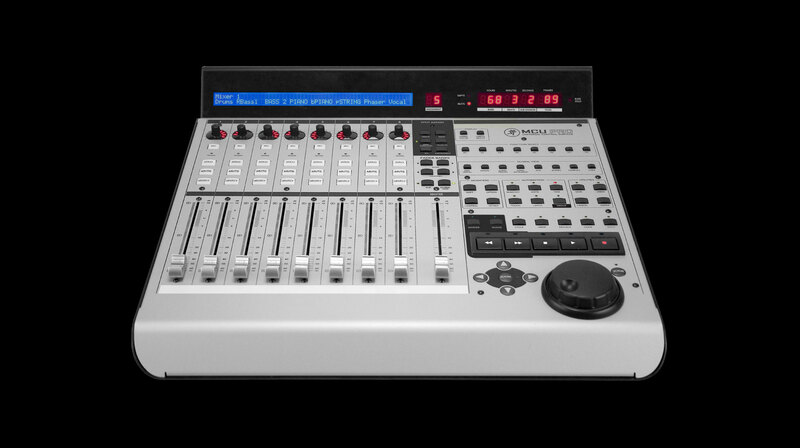 Each fader channel also has a V-Pot, surrounded by an LED collar to indicate the current value, and dedicated buttons for record ready, solo, mute, channel select, and signal present LED. 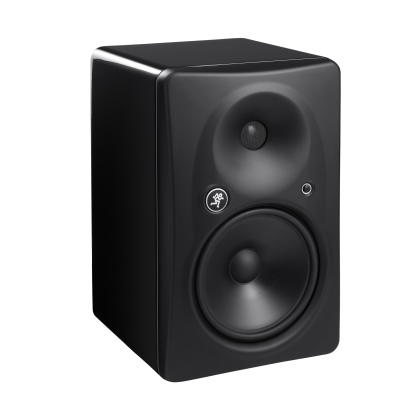 While MCU Pro is compatible with all major music production software, it is also designed to specifically work with your application — just access your software’s parameters in the master section and you can get right down to action. 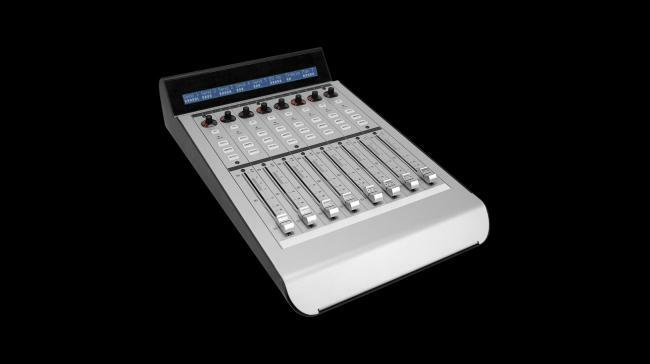 We even supply pre-labeled Lexan overlays for popular applications. 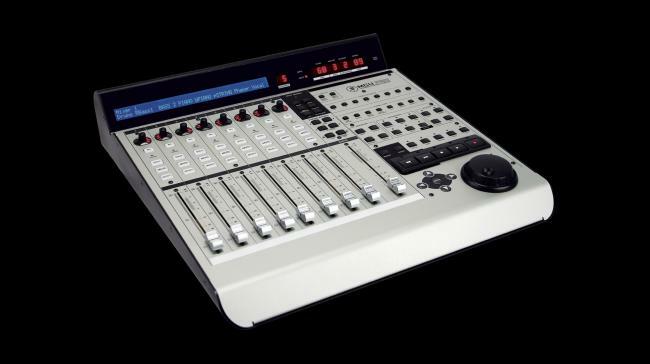 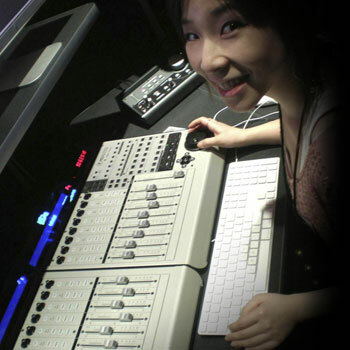 The MCU XT Pro is an eight-channel control surface extension for MCU Pro. 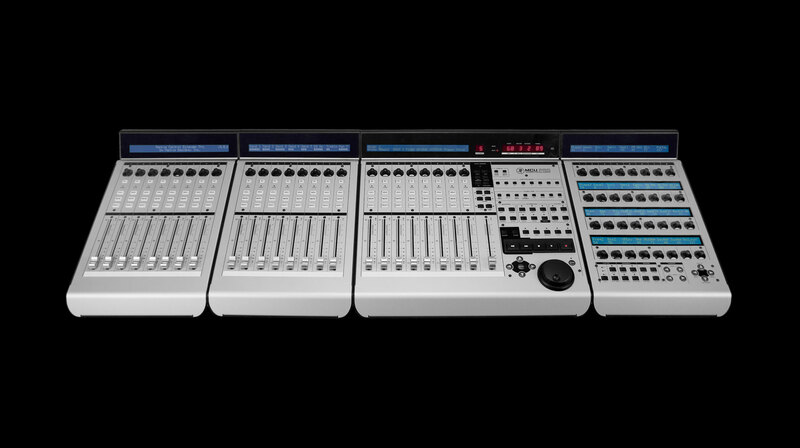 The XT Pro has all the channel strip features of the MCU Pro — without the master section. 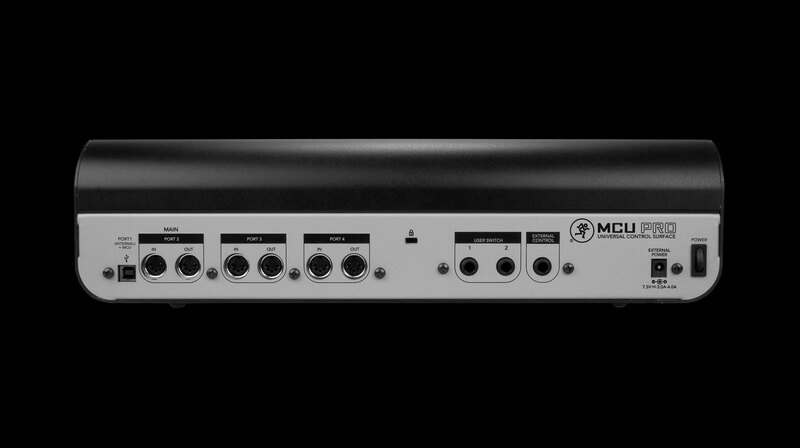 Depending on your music production software support, multiple Extender units can be used together with a MCU Pro to emulate a large-scale control surface. 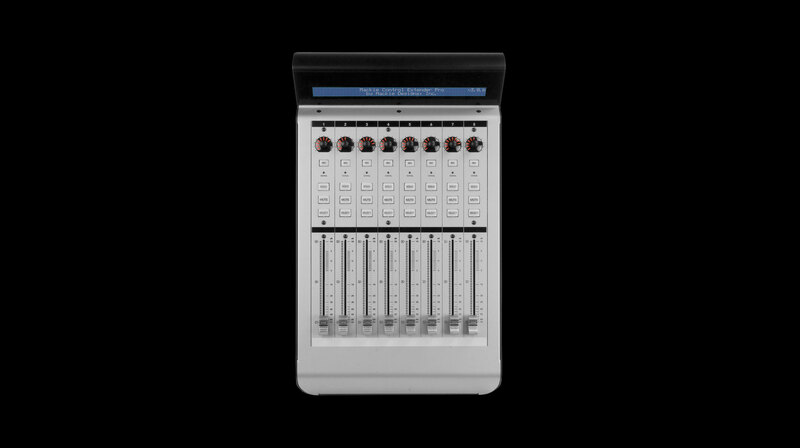 With MCU Pro, you get deep, intuitive control of mix and plug-in parameters, real-time visual feedback and set up is plug-and-play — without any MIDI mapping whatsoever! 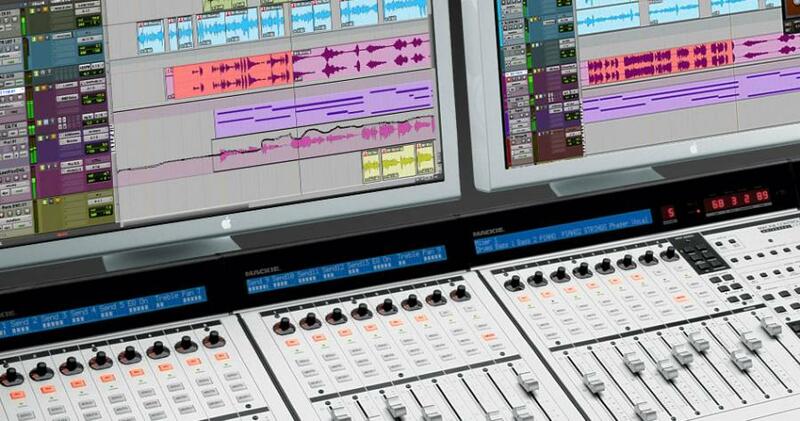 Streamline mixing in your project studio or scale up with multiple MCU XTs to mix major projects. 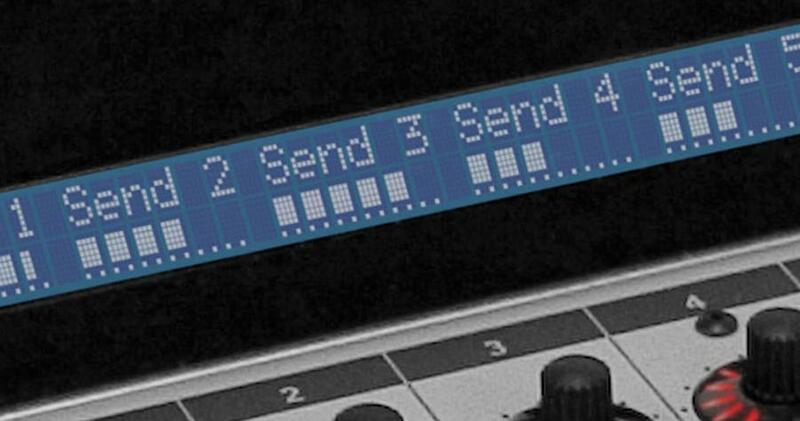 With the push of a button, writing automation on dozens of tracks in a large music project or even mixing for film and television is now effortless. 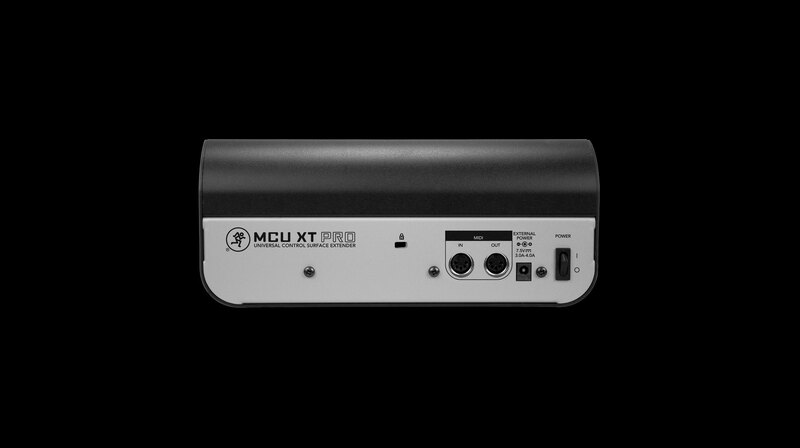 With MCU Pro, you are fully tactile. 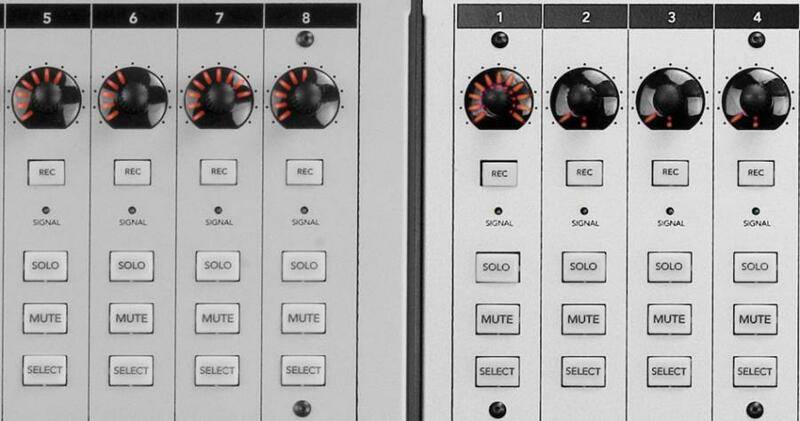 Why not get tactical and comeplete your Mackie studio?